The weather in Dhahran has recently been overcast and rainy with a strong (50 km/h) south-easterly wind, which is not so common for the area. Although it was raining it was just enough to wet the ground rather than the heavy rain people are used to in most places in the world. Around lunchtime the weather brightened up a little and as a result I thought the conditions may have been helpful at bringing down a few birds and the ‘patch’ may have a few interesting birds about. 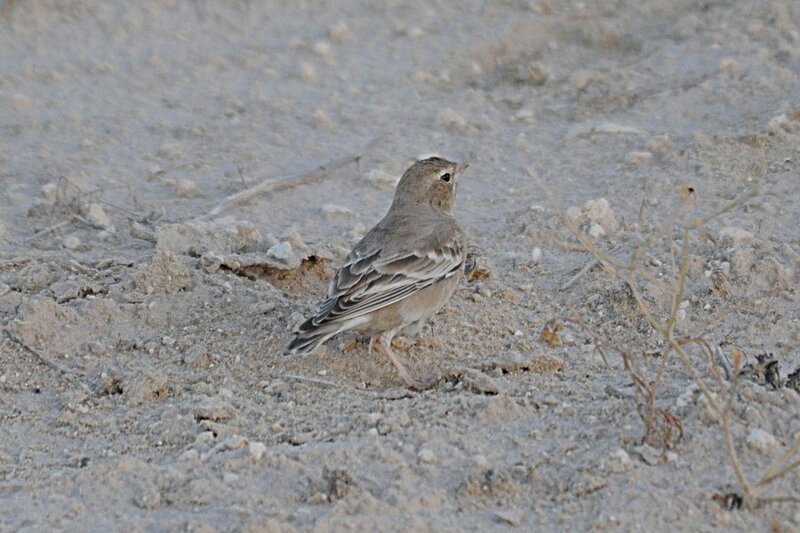 I had to visit Manifa the day after the rain with work and there were quite a few Isabelline Wheatears present scattered around the roadside in the desert and three Lesser Kestrels in various places north of Jubail but before the turn to Naiyriyyah. In this same area a single Black Kite was circling around an area where sheep were being kept. These are the first Lesser Kestrel and Black Kite sightings I have had this year in Saudi Arabia. I was only able to go out very briefly in the evening the day of the rain but yesterday I spent a couple of hours looking around the ‘patch’ to see what may have arrived. Even though they were spraying the spray fields I went to have a look to see if anything was about in the trees along the raised embankment. There were quite a few Common Chiffchaffs and a single Lesser Whitethroat was hopping around feeding with them. This is the first returning Common Whitethroat I have seen this year. Four Song Thrushes were in the trees and three Siberian Stonechats were in the long grass of the spray fields. Also in the same area were two Corn Buntings, three Eurasian Skylarks and 22 Water Pipits. 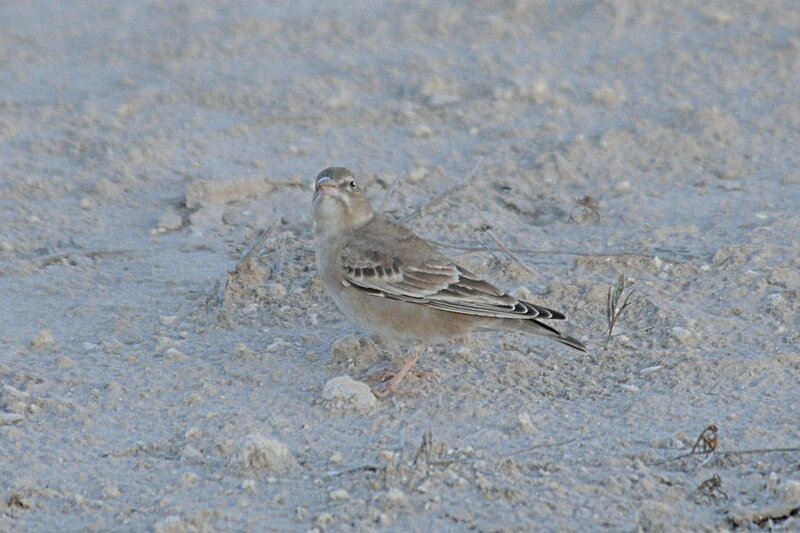 The edges of the spray fields held six Tawny Pipits, a female Desert Wheatear, one Isabelline Wheatear and most surprisingly a single Pale Rockfinch. The last Pale Rockfinches I saw were March 22nd and April 1st 2011 when large flocks of up to 80 birds were seen in the camp, but they were on and around the jebals. The Pale Rockfinch I photographed (above) had a very different appearance to the normal appearance of the species. This bird had a nice rounded head shape and appeared to have a smaller and paler pink bill than normal. 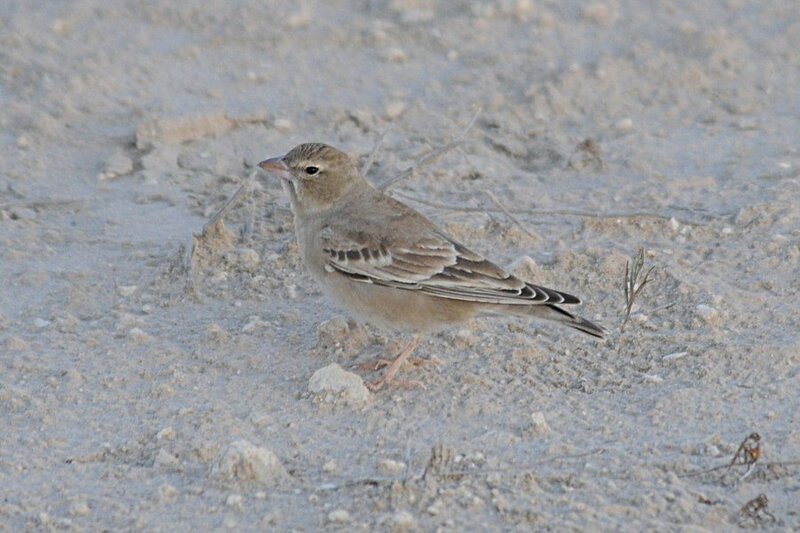 Below is a typical Pale Rockfinch I photographed in Dhahran 1st April 2011 to compare with the photographs above. 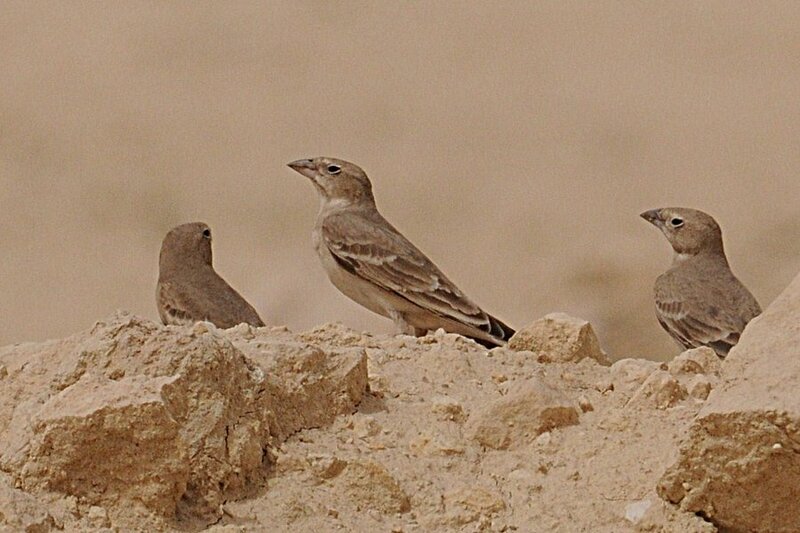 After discussion with AbdulRahmen Al-Sirhan from Kuwait, even though neither of us have seen a bird with this head shape and bill shape and colur it is probably within the range of the species. If anyone has any other ideas please let me know. I then went to look at the Percolation pond, but it was very quiet with only the same Western Great Egret of the last few days sitting on a bank being noteworthy. The trees around the pond were jumping with Common Chiffchaffs and over 70 birds were seen. Water level in the pond is again overflowing which means there are plenty of wet puddles and pools outside the perimeter fence of the pond. These pools held one Green Sandpiper and one pool with Tamarisk scrub and Phragmites reeds growing in it had two Little Crakes feeding around the edge. There was possibly a third bird as I briefly saw a small crake fly across an opening in the reeds whilst watching the other two Little Crakes, but I cannot be certain as to its identity. The last Little Crakes I saw on the pond were on 29th March and 29th April 2011. A single singing Caspian Reed Warbler was in the Phragmites reeds. In the evening a large group of Red-rumped Swallows totaling at least 70 birds gathered over the pond along with six Common House Martins, 25 Common Swifts and 33 Pallid Swifts. Although the number of birds is still not high there are some quality individuals passing through at the moment.